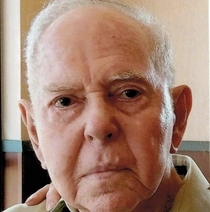 Hubert L Burch, 89 of Linton, passed away at 5:07PM, January 14, 2016 at Union Hospital in Terre Haute. He was born in Sullivan Co., Indiana September 12, 1926 the son of Nathan Everett Burch and Pollie Tharpe Burch. Hubert was a member of the Gospel Tabernacle Church in Dugger, IN, and retired from Crane. He was preceded in death by his parents, also his wife Mary Jennings Burch who passed away August 25, 2010, one son; Hubert Lee Burch II, two brothers; Cecil Burch and Hershel Darrell Burch, and three sisters; Mabel Cox, Hazel Pope, and Irene Alumbaugh. Survivors include two daughters; Polly Burch of Linton, IN and Judy Burch of Linton, IN, one granddaughter; Rachel Burch. Funeral services will be at 10:30AM Tuesday, January 19, 2016 at Newkirk’s Funeral Home in Dugger with Rev. Travis Wallbrown and Rev. Keith Thompson officiating. Burial will follow in the Dugger Cemetery. Visitation will be from 4:00PM until 8:00PM Monday.